"A quick and easy vegan breakfast that is full of vitamins - I prefer to use berry-flavored soy yogurt, but any flavor will do. You can add any kind of fruit topping you like." Combine yogurt and spirulina powder in a bowl; mix well. 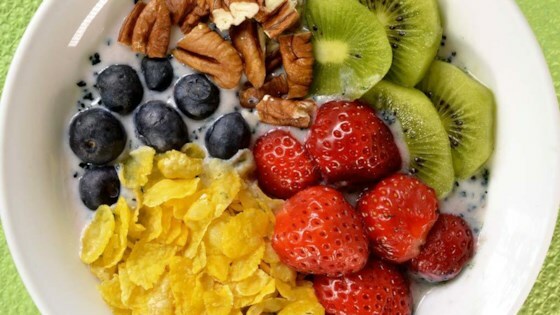 Top with cornflakes, strawberries, kiwifruit, blueberries, and pecans.